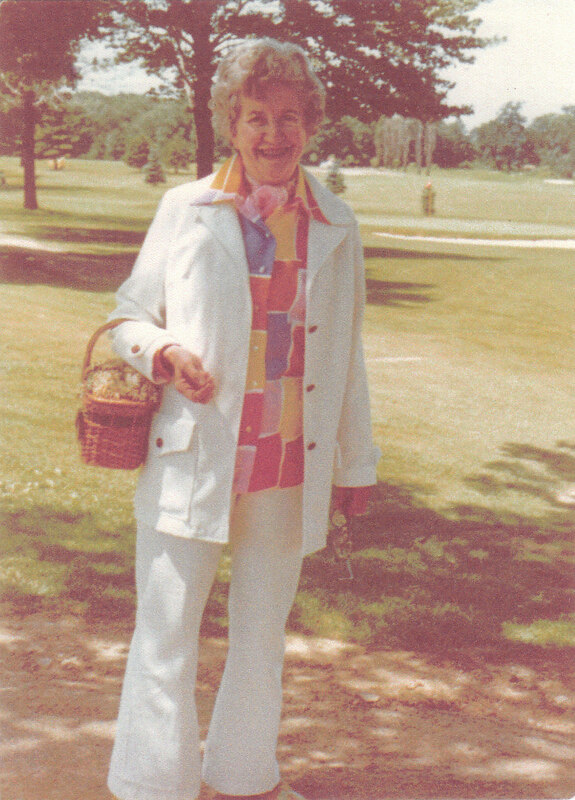 When Daddy died in 1981, life changed drastically for all of us, but for our paternal grandmother it changed in an unnecessarily dreadful way. When Daddy died, my mother, who had not worked outside the home in close to two decades, had her hands full with four kids to feed. Surely, she felt overwhelmed. Certainly, she grieved and, I have to believe, did the best she knew how in the context of enormous loss. However, my mother also made one massive mistake, in my mind. She made one decision, I wrongly didn’t challenge at the time, but find incomprehensible now. 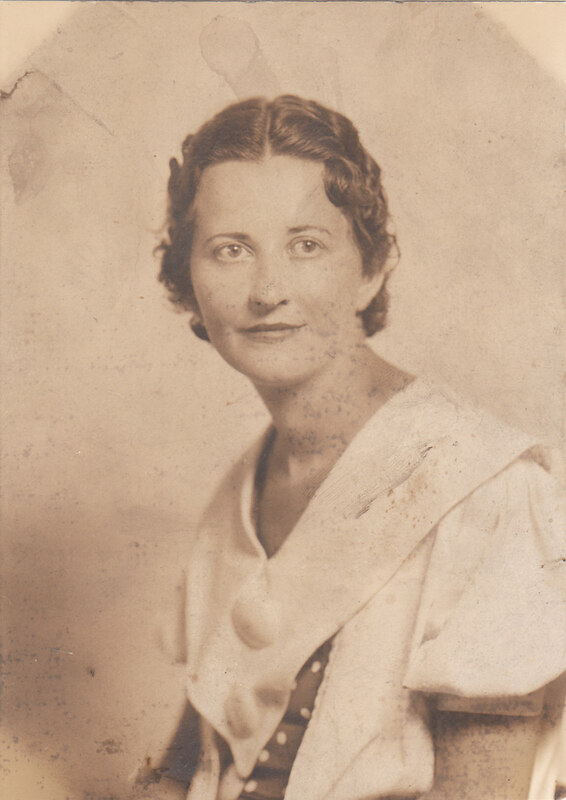 Namely, within two months, she moved her four children several states away from their only remaining grandparent, my father’s mother, the one we had lived with for nearly twenty years. Kimmy, as we called my grandmother, had owned a huge house in Pittsburgh—one my great, great-grandfather had built—a home my parents had moved into when my mother became pregnant with me. Kimmy lived on the first floor of what was essentially a duplex; we occupied the second and third—had lived there essentially rent-free for more than nineteen years. It was the only home I had ever known until Daddy died. And Kimmy had been an undeniable source of comfort and security, of endless home-cooked meals and countless butterscotch pies. I had not known life without her, and I didn’t, when Daddy died, imagine what it would do to her to lose, not only her son at such a young age, but, almost simultaneously, the grandchildren who had lived with her. 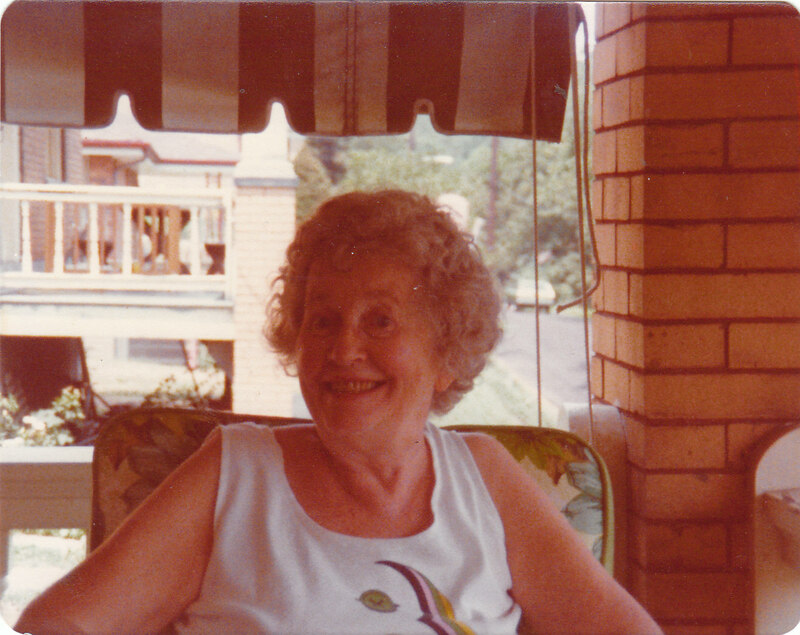 For, in fact, after the moving van was loaded that July, and we were on the road to Kentucky, where my mother’s sister and brother-in-law lived, I only remember seeing my grandmother twice again before she died, and only once when she was coherent enough to know that we were there. The fact of this move—the fact that we had, in effect, left Kimmy alone in that huge house—one that had been full of life and laughter for so long—haunts me to this day. How must she have felt to lose her son and grandchildren like that, in nearly one fell swoop? I can’t comprehend the enormity of that loss—how lonely she must have felt—how devastated she must have been. I should have known better than to leave her like that. I was old enough to know the difference between right and wrong. I was nineteen when Daddy died. I should have stayed behind to care for her. I know that now. However, I, too, was devastated by Daddy’s death. Perhaps, I wasn’t thinking clearly. I was young. I was naïve. But, mostly, I was wrong. For one year later, Kimmy died, mostly of loneliness, I suspect. During the nineteen years that we had lived together, nineteen years that she had baked for us and played Old Maids with us—nineteen years that she had tolerated kids racing from one side of her house to another, Kimmy’s favorite admonition to us had always been, “Don’t run; you’ll make dust.” But in the end, after Daddy died, it was our running away to Kentucky, leaving the house empty and dust free, that ultimately killed Kimmy. In other ways, however, this running generated the most desperate of dust for me, one that has yet to settle, for I, to this day, have not forgiven myself. I only hope that Kimmy somehow has. Note: If you are new to my blog, you might like to know that I am writing a memoir and blogging about growing up in an organized crime family. This post is part of that story. To read “Kids Make the Best Bookies” (another post that addresses what happened when my father died), click here. This entry was posted in Blogging/Writing, childhood, family, home, memoir, organized crime and tagged childhood, death, family, grandmothers, grief, home, life, loss, memoir, postaweek2011, Writing. Bookmark the permalink. I’m sure your grandmother would love this beautiful post. The pictures are beautiful too. Thanks, Heather. I know cognitively that no one really was to blame. However, the tragedy of it overwhelms me, and my grief about it is enormous. I do try to lay the sense of guilt aside. I try. This story is heartwrenching. Why did your mother make the decision to move? You know, Kathy, we see some events of our lives in retrospect and we know we could have done something to have changed things. And grief, especially, can be a moment that has no future, only a past. To have stayed might have meant something valuable for your grandmother. But it also would have meant another loss for your mother and for your siblings. You did what was right at that time.Your grandmother knew that. She knows that now. 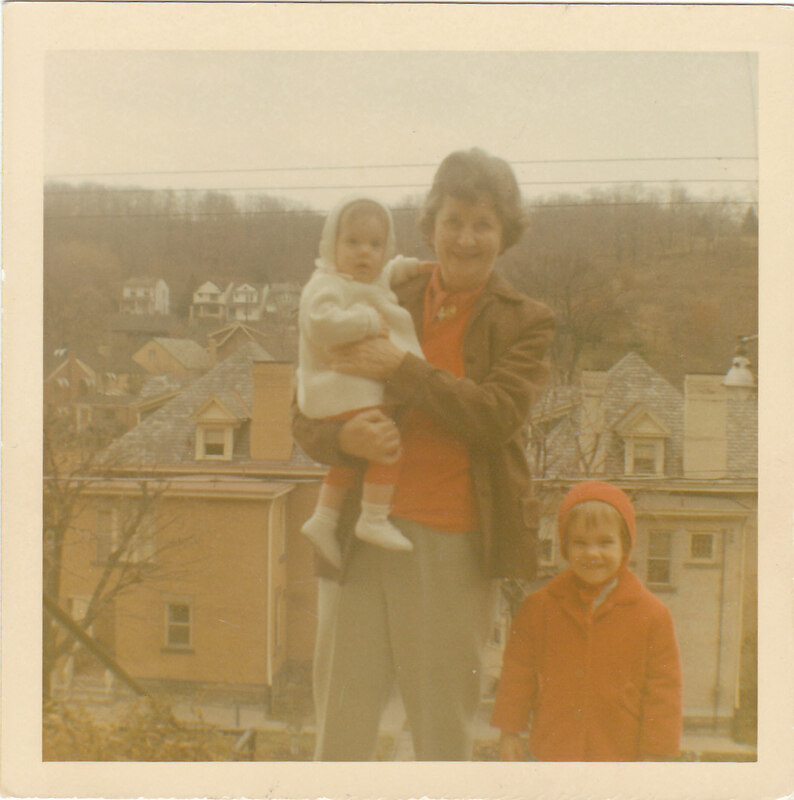 Why my mother moved is a whole other story–maybe even an entirely other book. In brief, she came to Kentucky, as this was where her closest sister lived. She did what she needed to do for her–undoubtedly. Still, however, the tragedy of it all overwhelms me at times. And, actually, I don’t think my grandmother understood, at least if the changes she made to her will were any indication. My father came from a very wealthy family, and Kimmy spoke in the end by changing her will, so that my siblings and I were written out of it. She seemed not at all happy about us leaving, that is any indication, but it all became so complicated, more than I can communicate in a single post. Forgive yourself, Kathy. Perhaps mistakes were made, but perhaps they weren’t. Kimmy may have died the next year anyway. That sounds harsh, but you cannot blame yourself for her death. You cannot blame yourself for following your mother, because 19 or not you were still her daughter. Do you know why your mother decided on the move? Perhaps if you understand her reasoning you will be able to forgive both her and yourself. I’m sure Kimmy has. I can only hope that the part of Kimmy that remains somewhere has forgiven me by now. It’s really a very complicated story with massive family dysfunction at work, as well. But it is what happened. I know my mothers reasons for moving. She did what she felt was best–but that is more than I can tackle. I may need to do a passworded post about it that those of you who are interested could read. Thanks for this feedback, Lisa. And you are right, she might have died a year later regardless–but, God, I lost that year with her, and it makes me so, so sad. Wow! That post is just so sad and made me choke up a bit. I am so sorry that you blame yourself! But I can understand, in a way. My dad died when I was 19 too, and I blame myself that I didn’t do enough for him, help him enough, realize how sick he was and so on. It makes me worry that you still have that feeling, after all those years. I also hope that my Dad has forgiven me, wherever he is, but it’s very hard to believe for yourself. Even if you were 19, there was only so much you could do. Stay strong! I can see why writing had been so difficult lately. This is a huge wound. And like you said, it’s very complicated. I encourage you to take *a lot* of time with this this. Dig deeper into the different twists and convolutions. Write little snippets, scenes. Write from Kimmy’s POV, from your mother’s, maybe even from your father’s. Explore the dysfunctions, the motives and the illness (because I’m sure that’s there, too). You’ve pulled the scab off. I’m afraid you’ll have to tend the wound for awhile. Yeah, this was a tough one to write–lots of tears–lots of regret. I appreciate your suggestion about writing from different people’s points of view. Sounds like that might prove productive. And, as you suggested, the wound will need tending to. Thanks, Sandy–so much! Did you ever ask your mother why she decided to leave? Yes, I know why she moved–to be close to her sister and brother-in-law–and because “the Lord told her to.” It was all cast in religious terms–and TONS of dysfuntion rooted in that. When I was 17, my father kidnapped my 10-year-old sister. For YEARS I blamed myself, just KNEW I could have done something to prevent it. Finally, I realized I was the kid and that adult had the responsibility and awesome power to implode a family, which has never recovered. Your essay tells a story of family, of pain, of despair. Kathy, lovely writing. Gosh, thanks for this comment. How hard that must have been for you. I think kids blame themselves, as that feeling of blame hurts less than the feelings of powerlessness and helplessness in the face of adult dysfuntion–and in your case, crime. In my case there was crime involved as well. I can’t tell you how much I appreciate your sharing. And for enjoying the writing! Yes, as kids we look for explanations to hang onto. When the grown-ups don’t offer enough explanation, we make up our own and hang on for dear life. Yikes! Sometimes it’s like hanging onto a life ring lost from an ocean liner only to find out it was a python! Oh, that is a frightening image–but sadly true. “Guilt is a wasted emotion.”… this to me says it all. One cannot live someone’s else’s life. I think I can put aside the guilt, but the grief is another matter. The grief is my own to process. And I will do that, for sure–in time. Beautiful post, Kathryn. Thank you for sharing it. I don’t know if you have children of your own, or not. But as a parent, and now a grandparent, there is no doubt in my mind that you are forgiven, and probably were from the beginning. She’d want you to forgive yourself. No, I don’t have children, so I can only imagine how hard parenthood must be. 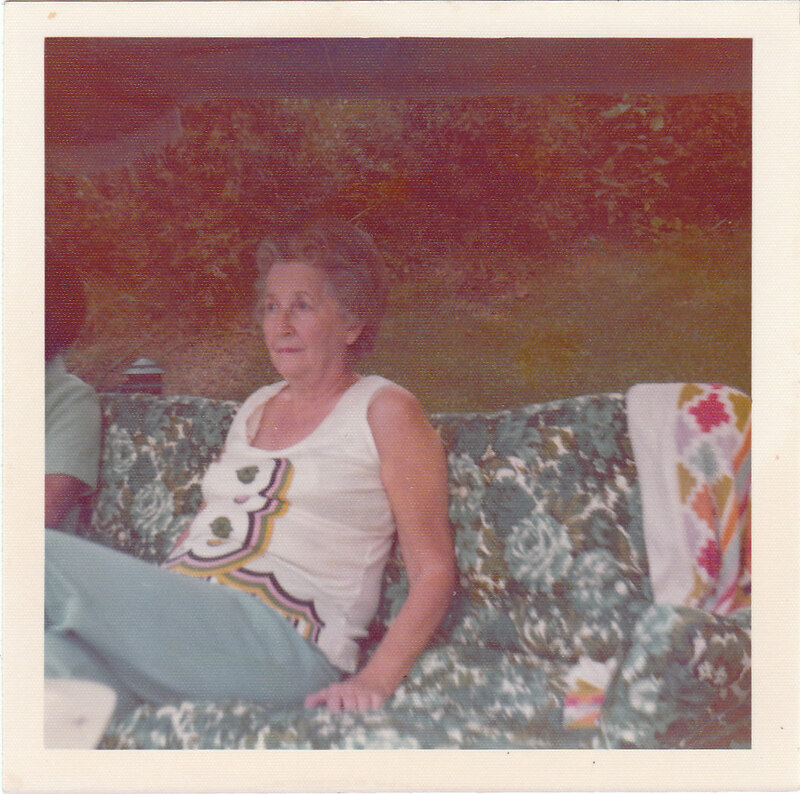 I guess, I’m just appalled how we underappreciated my grandmother–and overlooked our responsibility to her. I can’t change that now. But I’m so, so sad about it. Thanks for reading, Christine. I too think Kimmy has forgiven me. I have to believe that. And she loves me–I’m sure of it. I didn’t know you had home-schooled your nephew. That must have been painful. I’m so sorry you went through that. But, dear Jean, thanks so much for this comment, my friend. Actually, I don’t remember exactly what you said about my sister dropping out of school, but I can imagine what it might have been. So many tragic things have happened. I know where you believe the blame belongs. I know. You are right. Hope you had a great Thanksgiving. I will talk to you soon, my dear. Hugs to you–and I love you too, so much. What a beautiful yet heartbreaking post Kathy. I would guess that a wonderful person like Kimmy would have never had any will towards you children for leaving. Your life was turned upside down when you were 19, and although you felt like an adult, you were still just a child that had lost a parent. I’m sure Ki,,y understood that. I would like to think that she is lokking down right now and is pleased with what you have done with your life and would be pleased with this glowing post about what a wonderful woman she was. I’m sure your grandmother didn’t blame you, but it must have been very sad for her. I never knew my father’s mother. She died before I was born. Everyone loved her and I wish I had known her. You had your lovely grandmother for 19 years. You just have to relish the good bits. I think it’s so sad when children don’t get to know their grandparents. I never knew either of my grandfathers. But, you are right. I need to relish the good times we had with her. Thanks for reading, Deb. I can feel your emotional turmoil in your words. At 19, technically, you are an adult. But I remember 19. I remember the uncertainty and the big unknown that lay ahead. You may be an adult, physically, but mentally, there’s still a long way to go. Please don’t blame yourself for Kimmy’s passing. You were in the midst of a turmoil few could understand. You all did the best you were capable of doing at the time. I suppose we all did the best we knew how. I think I don’t blame myself so much for Kimmy’s dying, as for not spending that last year with her. How must she have felt? But, yes, I was only 19, and a naive 19 at that. I just wish things had turned out differently. It’s strange, because I have absolutely no memory of that either. Do you remember going to see Kimmy in the hospital? I sit with your grief, with Kimmy’s grief, with your mother’s grief. It’s hard to understand why we make the decisions we make–and the effects these will have on others. Wondering now if Kimmy could have chosen to move to be near all of you? If she chose not to make that move–if she chose to move in another direction–could her choice have been worthy? I don’t remember if she was invited to come along. I’m nearly certain she wasn’t, and even if she had been she wouldn’t have gone. It would have been more change than she could have tolerated at her age, I think. But–thanks for this kind comment, Kathy. We just have to accept what happened and tolerate the consequences–loving and embracing even our own weaknesses. Thanks so much, my friend! Kathy – sending hugs, really big ones. This was beautiful and you wrote it so well. I can understand your grief, but want to beat it silly all the same. I don’t care if you were 74, your father had just recently passed away, the world was likely a mass of confusion for everyone involved. You were naive, as you say, and probably not accustomed to making your own choices about where you would live, what you would do, and so forth. Still, I imagine that doesn’t make you feel better for having missed that year. In such an integrated house, it must have been incredible upheaval for everyone. As for that move with the will, that must have cut to the quick; I think that really would have stung for me (not the financial bit of course). People can do crazy things when they feel hurt, or confused, or crave lashing out, or angry at the world for taking their son away. I hope you can take some comfort in knowing you can translate these painful moments into your writing, and your shared community. PS. My dad also died when I was 19 – that makes three of us. Yes, the part with the will hurt–especially since I’m fairly certain that says something about how hurt she truly was. There is another possible reason, but I will get into that in another (perhaps, password-protected) post. I don’t care about the money, of couse. I’m sure I simply wasn’t meant to have it. I trust the universe that way. Sorry to hear your dad also died when you were 19. It’s hard to lose a parent when you’re so young, isn’t it? Basically, I’m thrilled this piece spoke to you, moved you, made you feel something about yourself, as well. That might be the best news yet. It’s great when writing shares something about the person composing, but when it helps a reader recognize something similar in herself–then that makes all the difference in my mind. I would like to be able to accomplish more of that in what I write. Thanks for you comment and email, my friend! Hugs to you, too! You are dear, dear, dear! I read this post as a tribute to the lovely and special woman Kimmy was. I think this is the universal truth in your story, Kathy. Most people can identify so well with your words, if not this situation, then the realization that they made a choice they regretted. I can see the light and joy in her eyes and if I may say, I think I see a resemblance between you and she in those photos. Jackie, thank you for these kind words. I think you may be right–that most folks can identify with having made a decision they later regret. It’s a universal experience. If this post somehow speaks successfully to that, then I’m delighted. Thanks for reading, my friend. And hugs to you, too! This is both a touching tribute to your grandmother, Kathy – and also an excuse not to dust very often. I thank you for sharing both. Probably true. Kind of a painful truth to stir up, isn’t it? Thanks for reading, Mark. Hope you’re home by now and feeling better! I so loved this post and can identify. In more ways that I can say. Thank you – loved the old photos. My Gram passed this year and it was harder for me that I thought it was going to be. Thank you for sharing Kimmy! I believe she more than forgave you and is probably very proud of you right now. Your grandmother sounds pretty amazing and the pictures you posted are beautiful. I wouldn’t blame yourself for her death, we all have to make tough decisions in life and I’m sure you didn’t want to leave your mother and siblings either so soon after your father’s death. It’s great you have so many shared memories together. Thanks so much for reading, Rae, and taking the time to comment. That’s a really great point about my not wanting to leave my mother or siblings so soon after my father died. That makes such perfect sense. I don’t know why that didn’t occur to me as more important. It was great having you stop by. I hope you’ll come back again soon! When we’re children our sense of safety comes from our immediate family, our circle–parents and siblings. While I’m sure Kimmy loved you, after losing your dad, it is human nature to cling to what we view as our safety net. You did what anyone would have done and followed your circle. Yes, she was hurting at the time, but so were you. Give yourself permission to accept that you were grieving. You were probably in survival mode, mentally……Have you ever considered writing to Kimmy? I know that sounds bizarre, but, when I was a teenager I read a book by Louie Anderson called Dear Dad: Letters from an Adult Child. In it the comedian Louie Anderson shares letters he wrote to his father (who was deceased at the time) to help him work through their complicated relationship. In the end he reads them to his father’s grave….. I sat down and wrote letters just like that to my father (who was still very much alive and absolutely unapproachable) and it helped me work through my feelings of hopelessness and anger. Eventually, I tossed them. I had gotten all that pain out of me via my words. You may be surprised at what comes out with your writing. As writers, that’s how we process our world. Write to Kimmy. Write her several letters if you want. It can only help…..Keep your chin up, friend. Wherever Kimmy is, she loves you. That is all that matters. Miranda, I can’t thank you enough for this dear comment. The idea of writing to Kimmy is a good one. I’ve done some of that in the past, as well. I suspect that you are right. Where ever Kimmy is, she loves me–and that’s what matters. Hugs to you, my friend! Kathy, this was a very moving post … your pain comes through loud and clear. I see you’ve gotten some great advice on potential ways to work through the rest of that hurt. And if I may, in addition to that it seems to me that there is a lot of forgiveness needed here. I know it may sound silly, but I find that all sorts of forgiveness is necessary to our continuing mental health. If I were in a similar situation, and could see things clearly enough, I’d pass out that forgiveness like this: forgive yourself for not knowing that staying with your mother and siblings had the potential to do harm to your grandmother; forgive your mom for taking care of her needs before thinking of others; and forgive Kimmy for not expressing her needs to you or your mother in a productive manner. Oh, thanks so much for this dear comment. You are right. Forgiveness is what is needed all around, isn’t it? And I love what you say about the continued healing. It’s amazing to me how healing it was just to write this post. Take care, my friend! I understand this desire to correct mistakes very well. I’m not even sure that it is the same as simple guilt. It’s a regret that we acted without the benefit of maturity. There is no blame to be placed when we have not had the time to accrue the wisdom to deal with the things life throws us. I wrote the following letter as a piece of MinLit fiction a little while ago. It deals with something similar, but I think that your grandmother would hold you much closer in her letter. I promised I’d write you when I had time. Well, now that I’m dead, I have time. You have no idea how boring the afterlife is. If I’d had any idea, I woulda held in there. Still, the view is great. I can literally see everything. You’ll be pleased to hear that that which you think is your chief crime is not in fact a crime at all. And incidentally, the crime I’d held against you so long never even happened. But that’s life. Or, in my case, death. So, with that straight, I guess our paths are clear. There is nothing to bind us. I genuinely thought this was going to be a longer letter. This world with no secrets makes communication almost obsolete. Good God, I love the piece your wrote! How brilliant–downright brilliant. You write so well. I’m used to looking at your art, but your words blow me away. Damn, my friend! Oh, Kathy. Your grief permeates this post even more so than your lingering feelings of guilt. I’m sure you realize that nothing can be done to change the past (and that guilt is not a very productive emotion… says the woman with an eternally guilty conscience! ), but hopefully just writing this post has helped you acknowledge and give voice to a deep hurt from long ago. I think you have hit the nail on the head, dear Dana! My sadness completely overwhelmed me when I wrote this post. And I didn’t even realize how much grief was still inside of me. I had no earthly clue. I love the dust image. 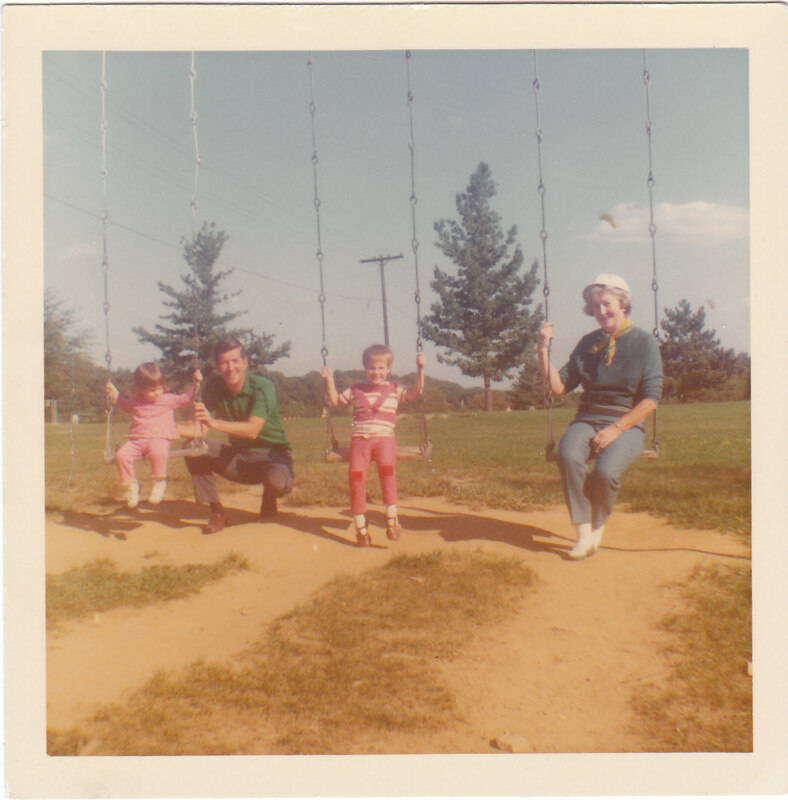 I was also very close to my Grandmother, and I can’t imagine what that would have been like for you as a little girl. I do hope for your sake, and for your family’s that you have forgiven yourself. It can be easy to look back on the past with remorse and to realize when we are older, wiser, and have the ability to connect the dots, that we could have made another choice. You look so young in those pictures. How could you have known? Maybe it was too hard for your mother to be around Kimmy, a constant reminder of loss. There’s another book that has helped me a lot with forgiveness called Radical Forgiveness by Colin Tipping. I highly recommnd checking it out. It takes a different approach to forgiving ourselves and others, and has been tremendously helpful in my life and in my relationships. I hope that this comment finds you doing well and at peace. Thanks for all the support you’ve shown me, Kathy, and I know that Kimmy is with you, loves you, and absolutely has forgiven you. I’m so glad you are getting to read this post. You’re right. I was very young. I need to forgive everyone involved, actually. Guilt is such a complicated emotion, wasting so much energy in our lives. I should know. I’m good at it. I do hope you come to forgive yourself. I bet Kimmy has already forgiven you. Thanks for reading, Robin. I truly am feeling a bit better about this having written this piece. It’s amazing how cathartic writing can be. You should forgive yourself . . . your grandmother would have understood. I know. And I think I’m beginning to do that. Just wish I could hug Kimmy one more time. Karthryn, I found you, via a comment you posted on Betty Londergan’s “Heifer” blog. I understand the weight of guilt. I was estranged from my younger brother at the time he died. His life had been one ruled by his Fetal Alcohol Syndrome (he was adoped-lest you think my mom drank while pregnant), His crack addiction, lies, thefts from us, alcohol abuse, and lack of understanding about the hurt he caused us, led me to tell him to “never contact me again”. He did as I asked. Some time later, I considered initiating contact. He died before I could. So I live with the guilt that I didn’t. Wish that you and I could go for a coffee and talk. Your grief resonates here. But, like others have said, you were just a girl. Legally an adult but certainly not able to have stayed and cared for her. I think we feel guilt when we think there’s something we could have done differently; I’m giving you permission to let it go. It only serves to haunt you. Grieve yes, but, if you can, try to let the other stuff go. I love the notion of baking a pie in Kimmy’s honor! And actually, I feel much better having written this post. It’s amazing how it helped me process the grief and look at the situation more clearly. Thanks for reading, MJ! Goodness, I LOVE them, too! Oh Kathy, this is just beautiful and Kimmy understands the circumstances, and why you did what you did all of those years ago, I promise! Even when we may regret a decision made many years ago, it helps to look back and ask ourselves if we would (or could we) change anything, given the circumstances we were faced with at the time. Hindsight clarifies situations, but don’t feel guilty anymore…please?? I thought I had subscribed to your blog the other day, but obviously not as I missed the next posts added after the house tour. I’m rectifying that today! A big hug to you. Joanne. PS. I love the old photos! Oh, Joanne, what a precious comment. I can’t thank you enough. You are so right. It does help to look back and ask these questions, but then it’s also important to let go of the guilt. I’m so touched by your words. Thank you! Thanks for stopping by today for my blog hop, I stopped to read this because the title was something my own grandmother used to say, to this day I can’t prove if it is a true statement. What a touching post, I am sure she knows how much you loved her and that it was not your intention run away forever. I am looking forward to reading more posts as well as your book when it is ready. Thank you for sharing such a touching story. Oh, Michele, thanks so much for reading. How interesting to hear that other grandmothers said the same thing. I, too, believe she knows how much I love her–and miss her, as well. Gosh, if only I could have another hour with her. I appreciate your reading and taking the time to comment. I loved your interview of Beth Ann! Oh, thank you so much. This is such a sweet comment. 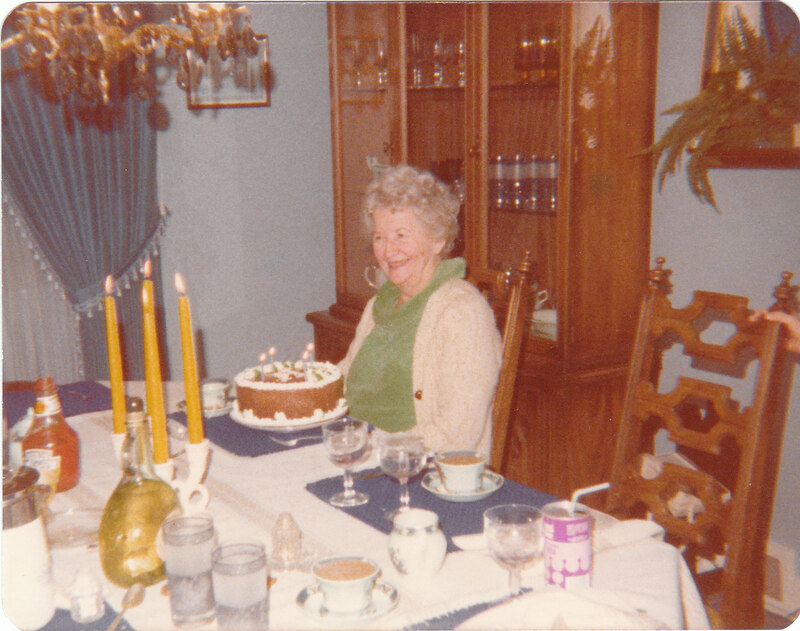 I appreciate your reading and sharing a bit about your own family and the reassurance that my grandmother would have understood. I thank you for that. It was wonderful having you visit. Hope to see you again soon! Thanks so much for this comment, Andres. I’m sorry to hear about your father and your mother, but you are right. I need to continue forgiving myself. That’s my best–maybe my only option. It was great having you stop by today. I hope to see you again soon!